KABUL, Afghanistan — A U.S. strike over the weekend killed a senior Islamic State commander in eastern Afghanistan, Afghan and U.S. officials said Monday. 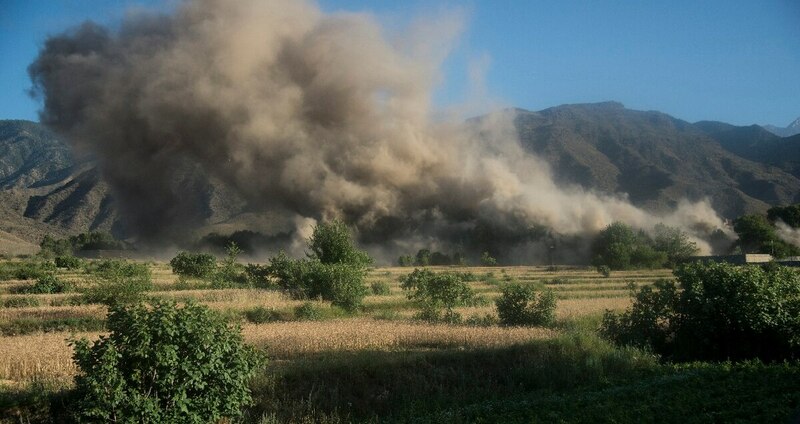 Separately in northern Faryab province, three Afghan army soldiers were killed and five others wounded after their convoy was ambushed by Taliban insurgents, said Hanif Rezaie, an army spokesman for the country's north. Taliban spokesman Zabihullah Mujahid claimed responsibility for the attack. He said that in addition to "killing and wounding tens of troops" and setting several military vehicles on fire, their fighters also seized munitions from the army convoy. Also Monday, two military pilots were shot and killed by unknown gunmen in the capital Kabul, according Mohammad Radmanish, deputy spokesman for the Defense Ministry.